Join us Wednesday 6 March at the LSE Library from 12.30 to 13.30 for a screening of and discussion on ‘These Dangerous Women’. The centenary celebratory film of our organisation, Women’s International League for Peace and Freedom. 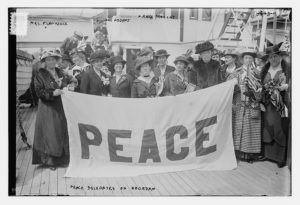 Find out about how WILPF women have been standing up for peace for the past 103 years and hear UK WILPF members Helen Kay and Katrina Gass discuss WILPF’s foundations and our past actions. Then watch a screening of ‘These Dangerous Women’, produced by Clapham Film Unit and made by film-maker Charlotte Bill. 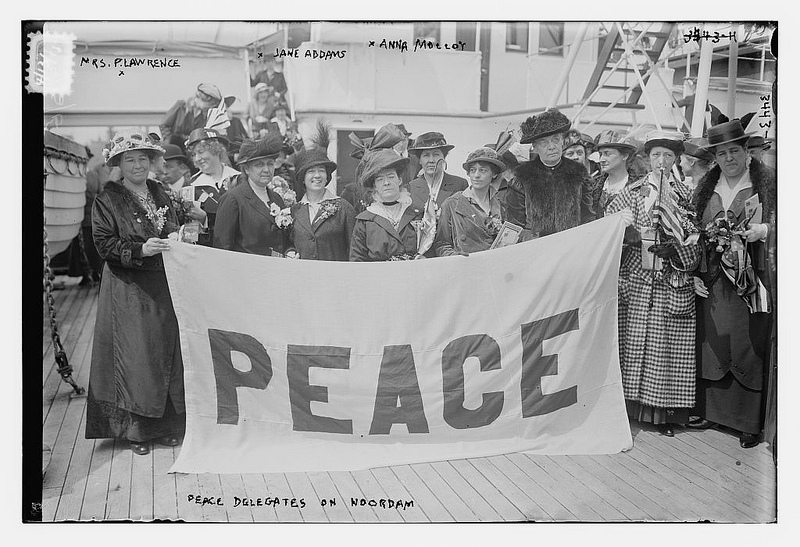 The documentary commemorates the 100th anniversary of the International Congress of Women that took place on the 28 April 1915, when 1,300 women from 12 countries met at The Hague to protest against World War One.